Welcome to the South County Community Handbell Choir Home Page. SC Community Handbells consists of two choirs; the adults and the Heavy Metal Youth. 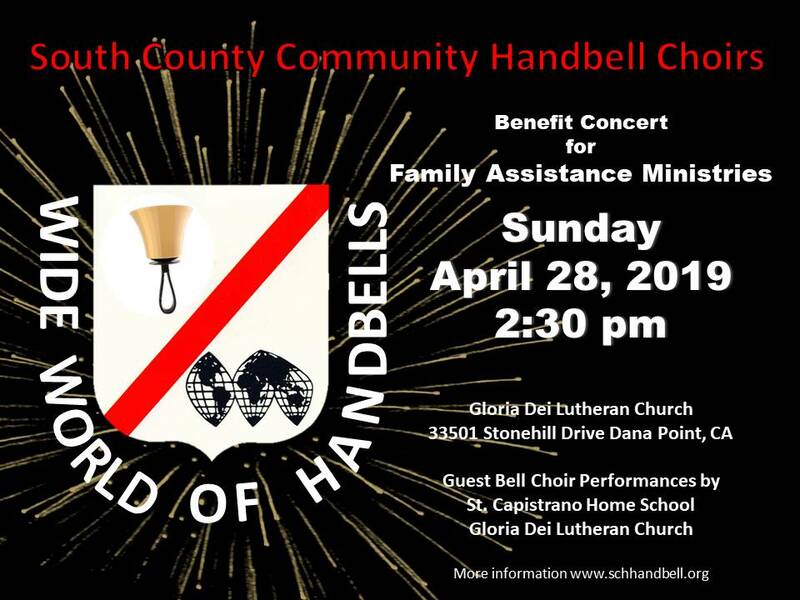 Please come to our Spring Concert, "The Wide World of Handbells" on April 28th at Gloria Dei Lutheran Church in Dana Point.